Snoring is causing millions of people a good night’s sleep. Just ask Oceanside’s Fred Brick — or better yet, ask his wife. “She would say gosh I didn’t sleep at all last night. You were just snoring and snoring”, Brick says. Brick is no longer sawing logs at night all because of a new, non-invasive procedure called “Nightlase”. 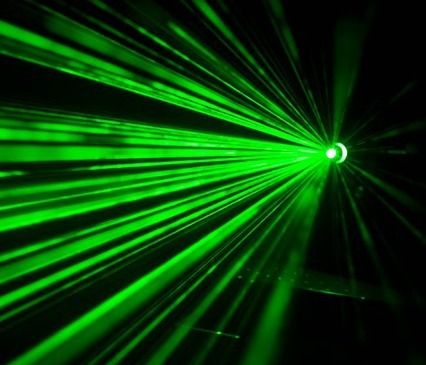 The laser used in the procedure is a little larger than a permanent marker. The tool points in to the patient’s open mouth, and zaps out snoring, much to the delight of Fred’s wife. “Now she says she sleeps better and she feels like she can sleep all night” Brick added. Dr. Eugene Nowak of Nowak Aesthetics in Chula Vista says “Nightlase” tightens the skin around the throat. “It’s just heating the tissue. By heating that collagen, we’re going to get a tightening and a little bit of a plumping effect,” Nowak explained. The tighter, plumper skin allows the air to move more freely in a person’s throat. Brick says the procedure is pain free. “Does not hurt at all. Just a gentle little heat”, Brick added. Dr. Nowak says patients can expect 80% of snoring to dissipate after three treatments. Patient Bob Novinskey is seeing results after just one treatment. It’s an interesting use for beams of light and seems to go in the right direction. There are people who will be interested in the procedure, especially because of the low recovery time. 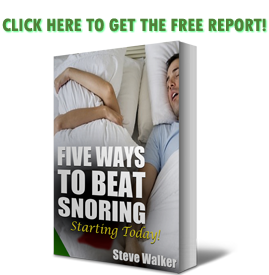 It’s permanent, unlike using an anti snoring mouthpiece like the SnoreRX (https://snoringmouthpiecereview.org/snorerx). It’s far less invasive than some other procedures that are out there. The major con with something like this is the cost. Since it’s relatively new technology it’s going to come at a premium. The article doesn’t exactly state how many treatments are needed to reach the snore-free goal, but chances are it’s not a one-zap type of deal. This is talking about changing the internal structure of the throat: tightening and plumping up skin. This can’t be something quickly done. Careful research and lots of questions should be the first thing you think about if you want to consider something like this. As with anything new, it’s a bit unknown. That doesn’t mean it’s bad, it just means there aren’t a lot of people out there who can testify to it’s greatness just yet. Be sure to ask your healthcare professional about a treatment like this as well, as they will most likely know more about it.